Admission for 1 into Village House Event. Includes dinner and open bar. Entry to the Cigar Lounge open from 8pm-11pm. You will receive one cigar of your choice (mild, medium, strong) hand rolled on site by an expert, as well as upgraded whisky, wine, and port. 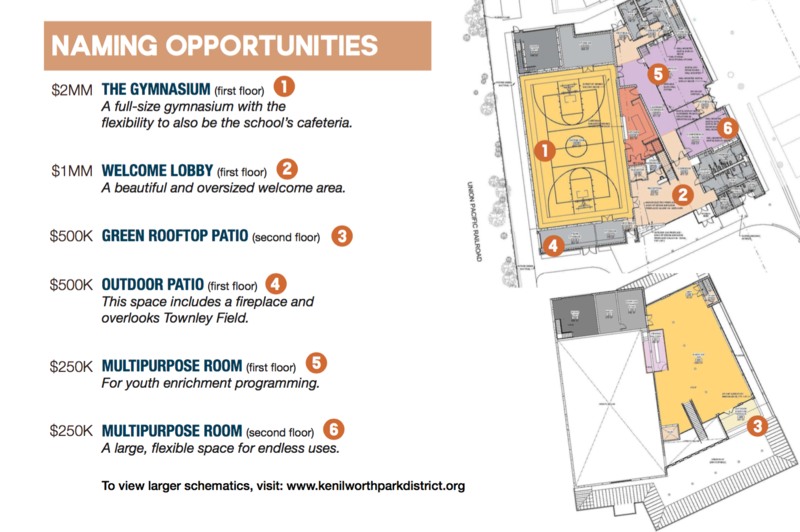 'Friends of Kenilworth' is a 501(c)(3) organization. All donations are tax deductible to the extent allowed by law. I have read and agree to the Terms and Conditions and give my consent to Friends of Kenilworth to process my personal data. I understand I can revoke this consent at any time. Is there someone you would prefer to sit with? The current Village House dates from 1964 and no longer adequately serves the needs of our community, putting Kenilworth at a competitive disadvantage compared to our neighboring communities. With your support, we can build a facility to offer high quality extracurricular academic and athletic programs. 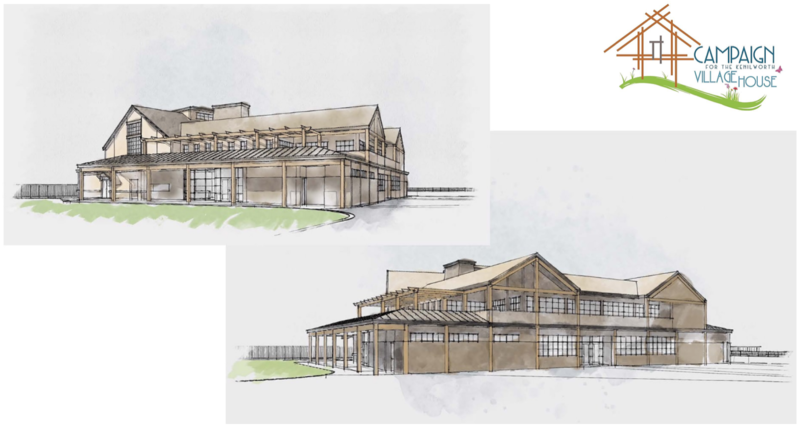 The revitalized Village House will add cafeteria and gymnasium space, classrooms, meeting rooms, locker rooms, storage for the Boy Scouts and Girl Scouts along with additional community event spaces adjacent to Joseph Sears School. The new Village House will help Kenilworth maintain its status as a highly desirable place for new young families. 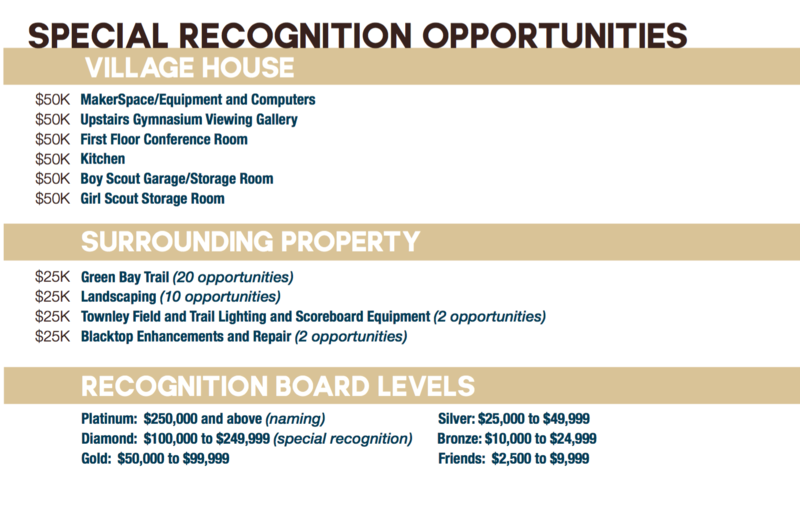 Benefit Board as well as the Donor Wall at the Village House. Benefit Board at the Village House.